Grindr, the popular social network for gay, bisexual, transgender, and queer people, uses location data from its member's devices to facilitate real-life connections. It’s a mobile-first app — meaning that it's optimized for use on mobile devices such as iPhones, iPads, and Android phones and tablets. However, you can use Grindr on a desktop or laptop computer with a bit of tweaking. You can't run Grindr from a browser on your desktop. If you want to run Grindr on a desktop or laptop computer, install an emulator and the Grindr app. Select an emulator. Several vendors offer paid and free Android emulators that include different types of services. Grindr requires GPS coordinates to work and platforms such as Andy and Remix OS Player allow you to specify your location manually. Use an Android emulator and not an iOS emulator because most people cannot legally access the files to run an iOS emulator for the iPhone. Install the emulator. Each emulator follows a different installation method, but in general, download the installer and double-click the file to install the emulator. An Android emulator cannot be installed on a Windows 10 computer running Hyper-V. You may find an ISO from an Android x86 project, but stable Android Kernels are three or four versions behind the latest release. Install Grindr. When you launch the Android emulator, configure it as a new Android device. Then, sign in to Google Play and download Grindr from the Google Play Store. If you choose the Grindr version of the Bluestacks emulator, the Bluestacks player includes Grindr. Launch Grindr. Open the Windows Start menu and choose the emulator from the list of installed apps. When you sign in, you'll experience the same continuity of experience on the Android emulator as you would on your iPhone or Android smartphone. Verify that Grindr works as expected. Check whether Grindr correctly geolocates you. If your location is wrong, check the emulator for a location override feature. Not all emulators have one. Additionally, make a small tweak to your profile, close the emulator, then log back in. Some emulators will not persist these changes to your account. Some emulators can be tricky to install and are reported as being slow and buggy. For this reason, you shouldn't expect Grindr to run as smoothly on your desktop computer as it would on a mobile device. Likewise, some features of Grindr might not work as expected because the program is used in an environment for which it wasn't intended. One of the biggest concerns is whether location information shows up correctly, or if it even shows up at all. Grindr uses the GPS technology in your mobile device to identify your location, which it then uses to “find guys near you, anytime, anywhere.” That is why it's primarily a mobile app. If the computer belongs to you, save your Grindr sessions and interact with others later. Saved Grindr sessions can be resumed on your desktop computer, phone, or tablet. If your location information isn’t available or doesn’t show up correctly, you might be presented with few matches or matches that aren’t in your area. 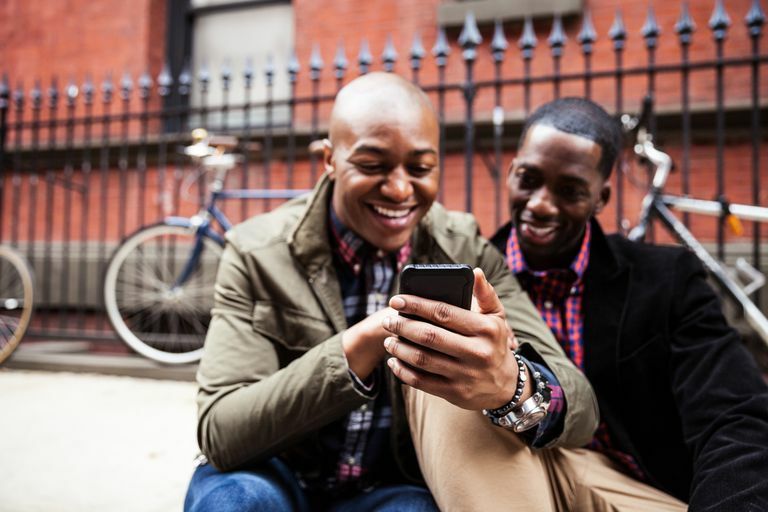 Parents, if your son has Grindr on his phone and you're wondering what it is, check out Lifewire's Parent's Guide to Grindr.